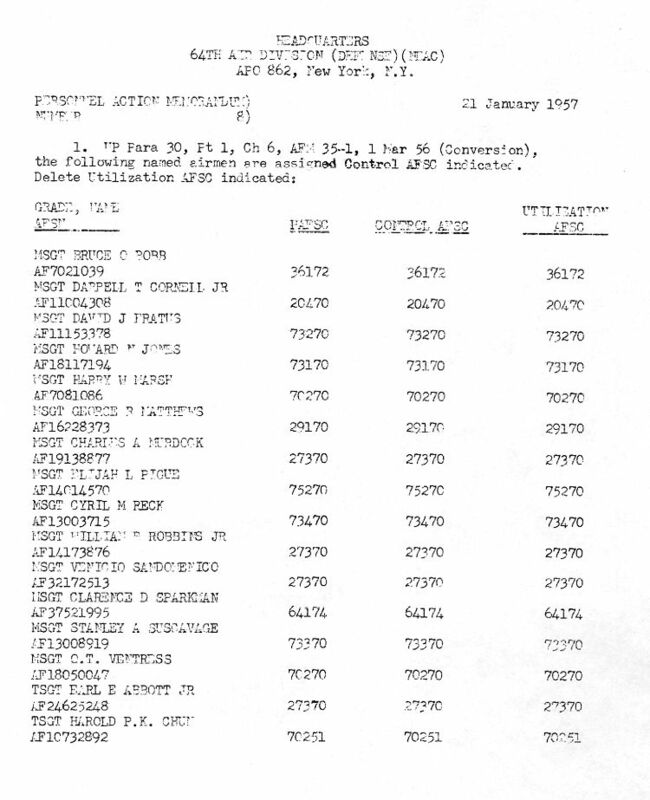 64th Air Division (Defense), Special Orders #159 - 29 October 1957. 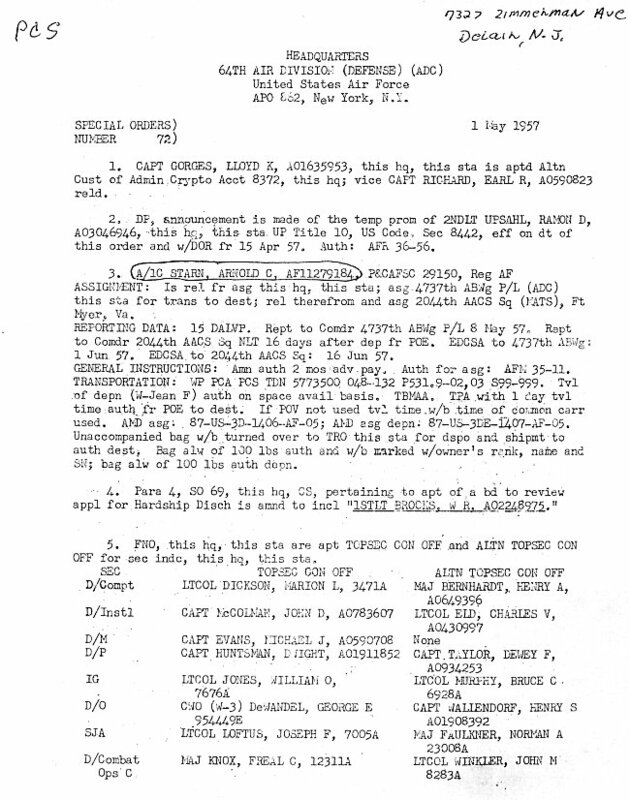 64th Air Division (Defense), Special Orders #72, page 1 of 2 - 1 May 1957. 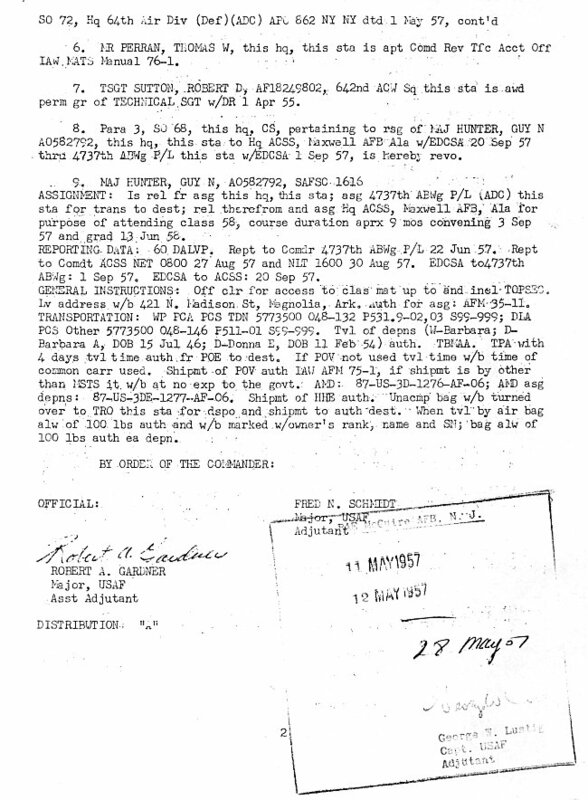 64th Air Division (Defense), Special Orders #72, page 2 of 2 - 1 May 1957. 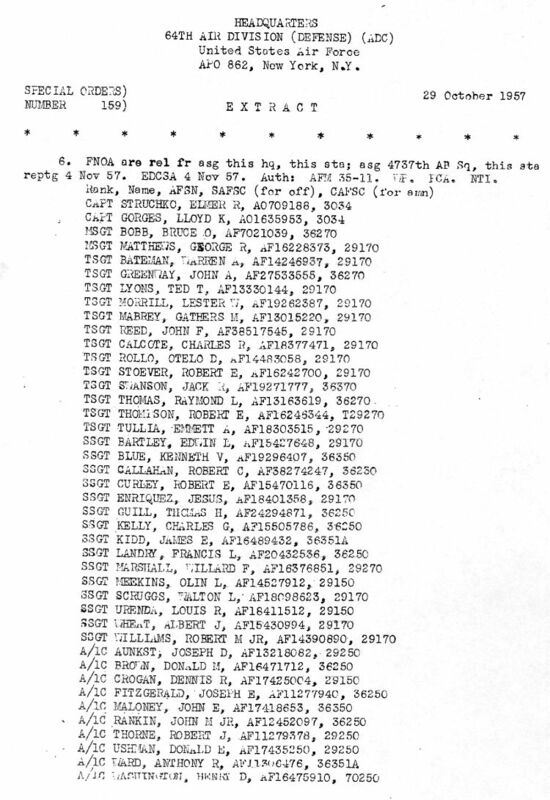 64th Air Division (Defense), Personnel Action Memorandum #31 - 8 April 1957. 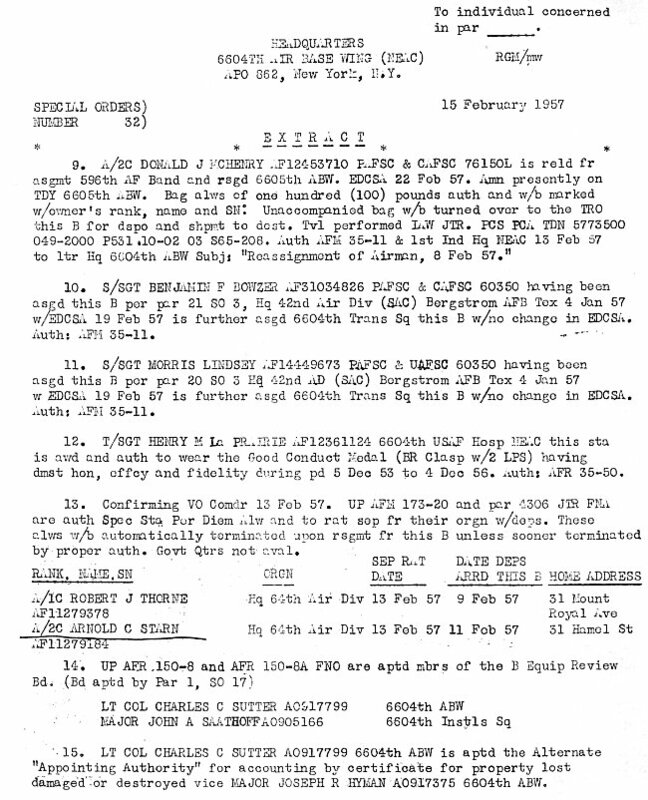 64th Air Division (Defense), Special Orders #32, page 1 of 2 - 15 February 1957. 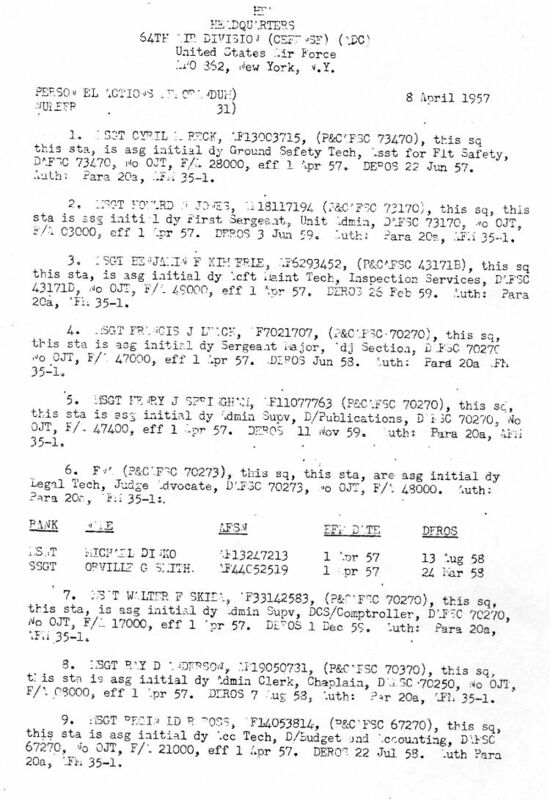 64th Air Division (Defense), Special Orders #32, page 2 of 2 - 15 February 1957. 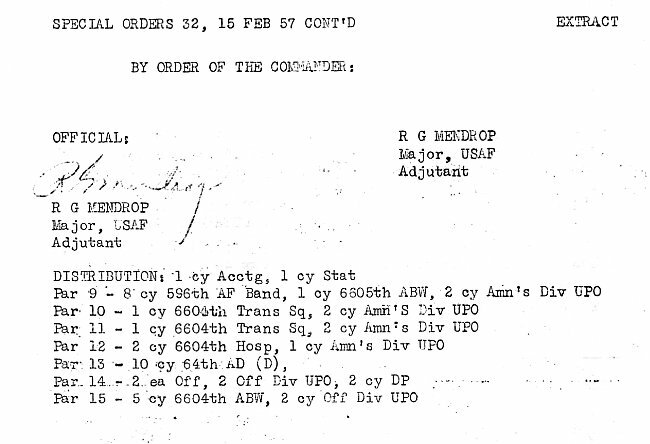 64th Air Division (Defense), Personnel Action Memorandum #8 - 21 January 1957. US Air Defense in the Northeast - 1957.